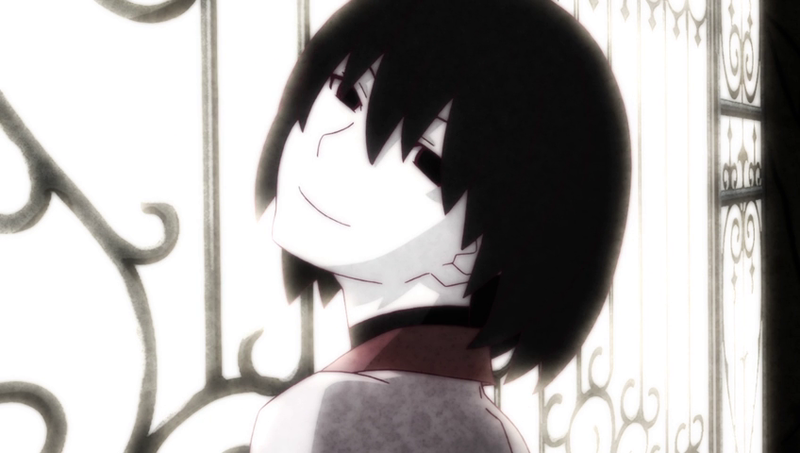 Ougi continues digging deeper into Arararagi's past while he is also forced to confront someone from his early school years who isn't that fond of him. Also Owarimonogatari finally reintroduces "best girl"! 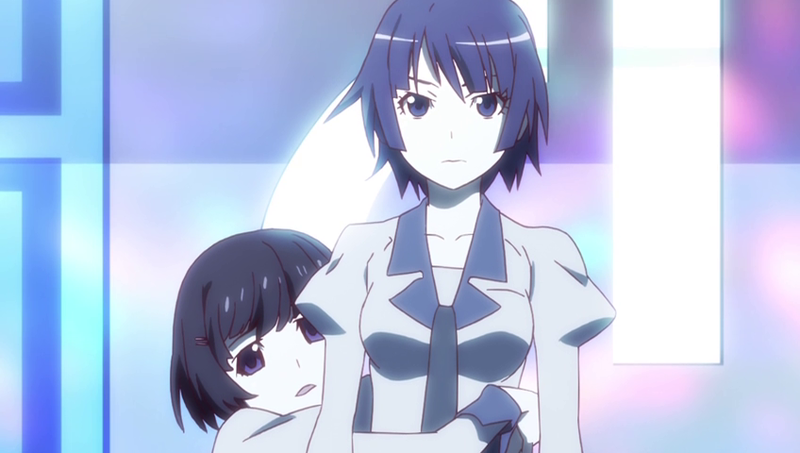 New girls being introduced in a Monogatari series is always an exciting occasion. Not because it drastically alters the character dynamics in these otherwise established relationships, throwing the metaphorical cat amongst the pigeons. No, it's exciting because it means we have yet another star in the endless Monogatari "Best Girl" debates. Did I say debates? I meant furious frothing anger so heated that you would swear they were discussing national independence rather than their favourite cartoon lady. I saw someone seriously suggesting that Ougi was Best Girl yesterday. I know! Imagine monsters of this type still live and breath on our planet. Ougi is a non-entity. That's not quite the put-down it sounds like though. I mean that she is a black hole of a person for whom every line is designed to drag more out of the person they are talking to rather than establish anything about herself. Arararagi comments on as much himself, how he finds himself spilling his personal life stories when around Ougi, even though he doesn't mean or even want to. She just has this way of getting under his skin and forcing him to reveal everything about himself. She'd be a highly successful psychiatrist. I'm surprised, this being Monogatari, that they didn't cut to a shot of chibi Arararagi sitting on a psychiatrist's reclining chair as Ougi chills on a fancy leather armchair with a clipboard in hand. Or more like clipboard in sleeve, given how she wears her top. The other girl finally given a proper introduction this week is Oikura, our white haired twintail with severe anger management issues. And I mean really severe anger management issues. This is a woman burning with so much hatred you can practically feel it spill out of your screen. Why she's quite as angry as she is remains the mystery for this current arc, with the assumption being that once Arararagi figures it out, Oikura will no longer burn with hatred anymore. Which would be a shame because that boy was listening to her rant something marvelous. It was a combination of the oppressive music, imaginative use of lighting and framing, voice acting, and the writing. Oh the writing indeed. 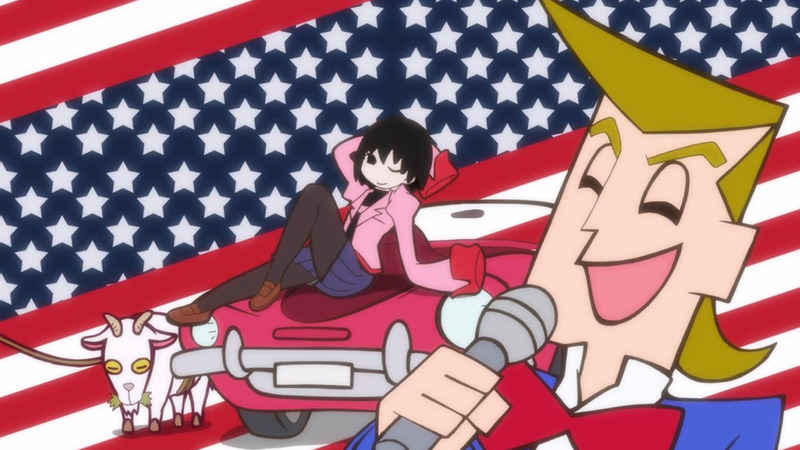 In fact, any character in the Monogatari world sounds fantastic when they break into relentless insults. The staff know they're good too because they recently introduced a feature on their website where you can be insulted by the Monogatari girls on an endless loop, and even choose which girl you want to insult you. No really. So will Oikura shoot to the top of some fickle anime fans Best Girl lists? Thankfully the director right at that moment decided to save our poor souls with short term memories by reintroducing the actual Best Girl: Senjogahara! I nearly cheered when she reappeared on screen. Complete with Hanekawa hanging onto her waist. The in-universe reason was because Hanekawa was afraid once Senjogahara saw Oikura that she would start destroying the classroom. However it was actually a clever use of metaphorical imagery in which Hanekawa is desperately clutching onto the greatness that is Senjogahara but can never hold her back and eventually has to secede. That's my interpretation and I'm sticking to it. As a final note, it was interesting to see a reference to Cat Soup of all things in this episode. 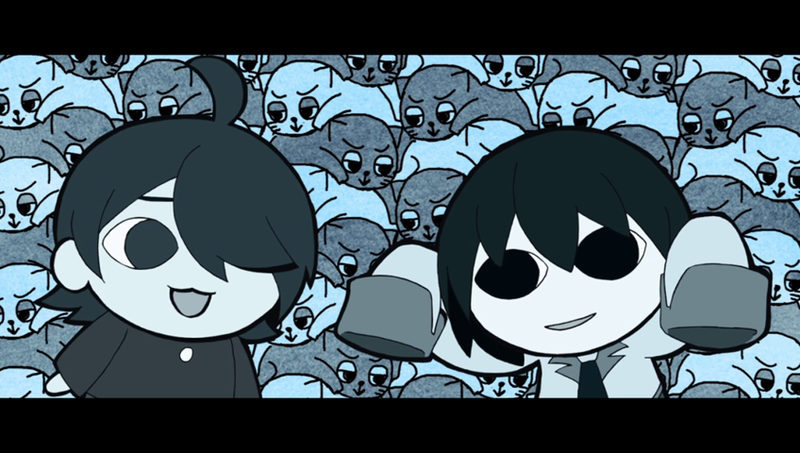 Given that the original Cat Soup was about a cat going to the afterlife to reclaim the lost soul of their sibling, this reference would imply Arararagi is the travelling cat going to reclaim the thing that was lost, in this case his memories. This would make Ougi a devil of sorts, leading him into the afterlife. Which fits as an explanation almost too well. 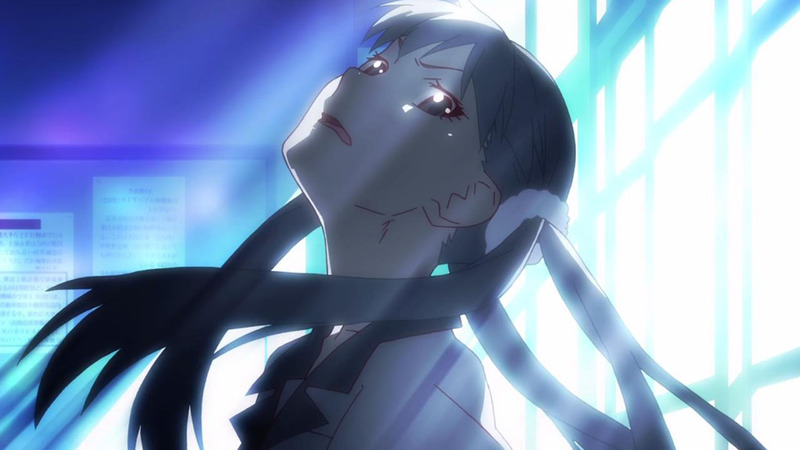 Don't forget to join the discussion for Owarimonogatari Episode 2 here! Have you been wanting to know what Kotoura-san (The Troubled Life of Miss Kotoura) is all about? Well, thankfully you've come to the right article! Go ahead and see what you've been missing! Children are not what they seem in Charlotte's world. Their secret is exploited by science and protected by an academy. The anime's action revolves around the choices we make. The story of Charlotte is primarily based around the student council of a very “special” school, each member has their own profound story. Let’s take a deeper look at how they tick, what their personalities are, and how everything ties together within the story. If you've just getting into Charlotte, watch out: you just may catch "the feels". Charlotte is one of those love stories that you can see coming from a mile away, but that ultimately still surprises and endears you to it nonetheless. Let's take a look at Charlotte and its amazing world in which teenagers possess incredible powers, including time travel!